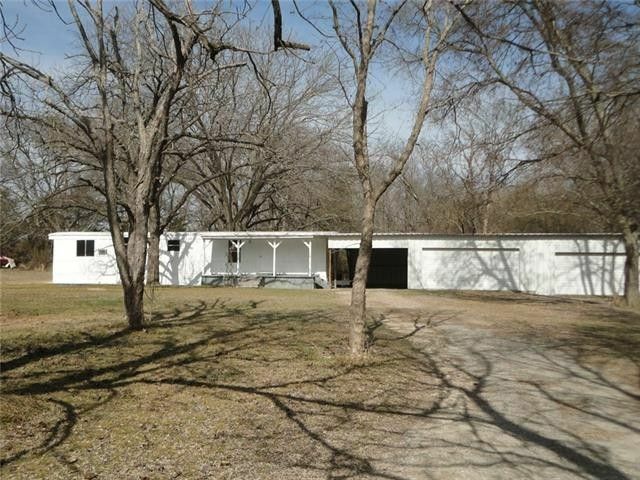 COMPLETE REMODEL on this cozy single-wide with awesome shop and additional garage or work space complete with concrete floors in one and electric. New water heater and complete remodeling throughout. Horseshoe driveway with large trees for great summer shade. Large 1 acre yard and quiet safe and mature neighborhood. Tax roll has property listed as multi parcel ID #171791 & 256412 Seller working with Tax Dept to correct. IF you are down sizing and have a great hobby.....THIS IS THE PERFECT HOME FOR YOU. Directions: From Van Alstyne on FM 121 take a right on Pilot Grove Rd (Real Estate For Sale directional sign at 121 and Pilot Grove) Property on the Left.